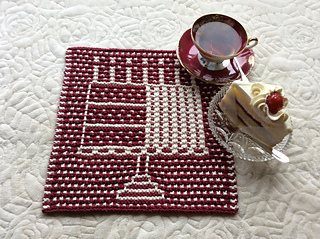 Here is a trivet design fit for a baker and ready for celebrating! 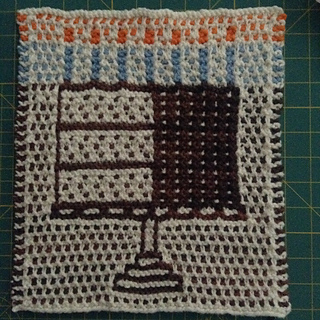 The pattern is worked in mosaic garter stitch and wet or steam blocked square. Try cotton, hemp, linen or non-synthetic (heat proof) felting wools. Gauge and dimensions are provided in worsted weight cotton with size US 7 (4.5mm) needles. 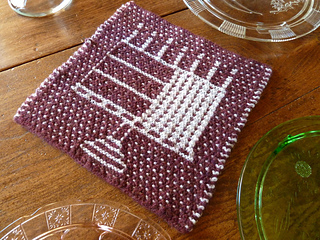 Adjust the needle size and/or yarn weight to obtain desired gauge. 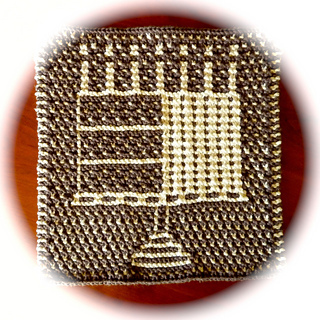 Mosaic garter stitch involves garter (knit) and slipped stitches using one strand of yarn for two rows at a time (switching color strands every two rows). 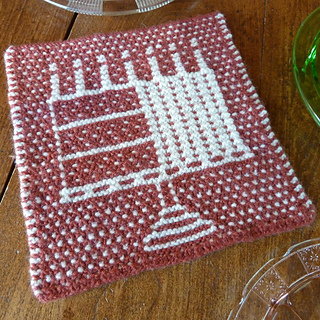 If you can knit stripes and slip stitches it will be easy. 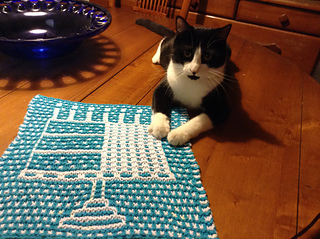 Use contrasting solid colors or try a semi-solid tonal yarn for one of the colors. As long as the contrasting and main colors contrast well, the pattern will reveal itself. 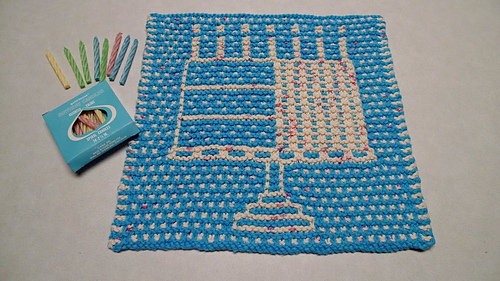 The pattern provides written instructions with (optional) charts for making useful household linens and gifts!